Of all the wonderful foods in the lunch buffet at the Asian supermarket, there is still one thing missing in the opinion of mon mari: Chinese Barbecued Chicken Wings. I bought him a big box of chicken wings. He was thrilled…. And immediately went online in search of a recipe for Oyster Wings. Apparently, Oyster Wings were his favorite at the Chinese buffet he loved in Minneapolis. We were most pleased…. He said they were as good as the Chinese buffet. Mix chicken stock, oyster sauce, water, soy sauce, ginger, garlic and sherry. Pour over chicken wings and marinate, refrigerated, overnight, turning occasionally. When ready to cook remove wings from marinade, reserving marinade. Cook chicken wings on barbecue grill until done, 25 – 30 minutes, turning and basting with barbecue sauce. While wings cook, heat reserved marinade to boiling and simmer for 5 minutes, reducing slightly. 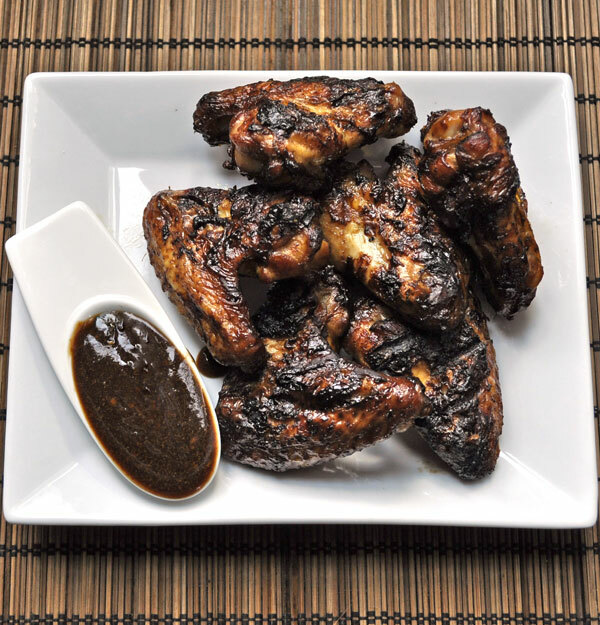 Divide barbecue sauce – use half to baste the wings and the other half as a dipping sauce. 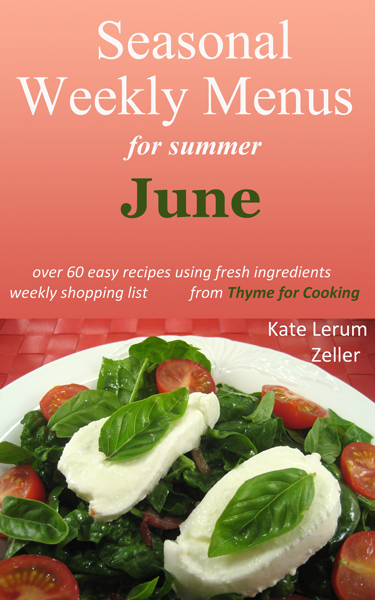 For those of you who don’t know, in addition to my blog I do a weekly menu planning service. I’ve been thinking about putting the menus into an ebook for awhile now…. I’d originally thought it would be one book of 52 weeks. That book would have been about 1600 pages. Then I thought I would do one book for each season…. 400 pages each. Still a bit unwieldy. Like Thyme for Cooking menu plans, there is a complete dinner menu for each day: main course, side dishes and first courses for the weekends. All the recipes have photos, each of the days has detailed menu prep instructions and there is a coded shopping list for the each week. The recipes use healthy, fresh, seasonal ingredients and they’re all fairly easy. Cooking from scratch has never been so simple. I keep track of the ingredients so there is never half of a red pepper, forgotten, for the compost. 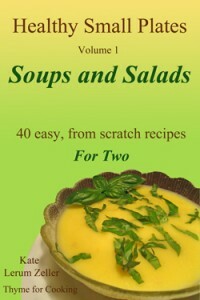 Each month there will be a new book with all new recipes. The menus for July will by out on June 15th. If you like it, you will have my eternal gratitude (and a free copy of July) if you leave me a nice review. I am not a wing eater though yours certainly look very enticing !! Congratulations on another achievement! You go, girl! Kate, he loves them. I like them when they’re hot and crispy, but he got the rest….